Bonggamom Finds: Lucky, Lucky Me!! It's no secret that I love hosting blog giveaways. I love entering them too. Where else in the world can you win cool stuff by just leaving a comment on a blog, with no pesky marketing folks waiting in the wings to take your contact information and bombard you with timeshare sales calls for months after? 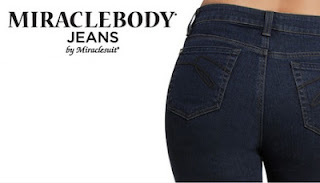 A Pair of MiracleBody Jeans. Ciaran , a fellow SV Mom Blogger and creator of Momfluential, hosted a MiracleBody Jeans twitter party last Thursday. I managed to attend all of 5 minutes of the party, so imagine my surprise when I logged on to Twitter the next day and found a flurry of congratulatory tweets! I can't wait to receive these jeans because all the comments I've read about them are positive, and anything that claims to slim me by 10 lbs. deserves a shot -- particularly when they cost $110 and I'm getting it for free. I also entered their Women Who Shape Our Lives contest and got a $20 coupon just for entering. If I like the jeans, the coupon will come in handy! Virgin Mobile Broadband 2Go. Okay, I didn't exactly win this; Alfie gave it to me for Mother's Day. But I feel like I won it because I wasn't expecting to get it, and I feel like I don't really need it, I just want it. I've actually wanted to get a mobile broadband device ever since I found out what they were. This one from Virgin Mobile is perfect for me because even though the device costs $99, I'm not tied to a monthly contract. I can pay for a day's use or a month's use, so we can use it on the road, at the airport, at the park, or those one-off times when I want to access the internet on the go. Alfie never really thought it was of much use until we were driving down to LA during the kids' spring break I pointed out that he could be watching one of his Superbike races instead of staring out the window. That's all it took to convince him, and I felt like I could finally buy it without too much guilt -- but Alfie beat me to the punch. The crafty bloke actually tried to dissuade me from buying it by saying his friend could get it at a discount -- of course, the thought of saving 10 or even 5% was enough to get me to wait. So it was a wonderful surprise when the kids handed it to me on Mother's Day -- just like winning the sweepstakes! 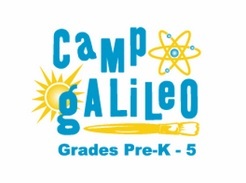 2 Weeks of Summer Camp with Camp Galileo. Technically 3Po won this prize -- I submitted a photo of his artwork (along with artwork by The Pea and Jammy) in a Galileo Learning Facebook contest, and 3Po's artwork was selected in a random draw. But the whole family wins, because now 3Po and Jammy get to attend Camp Galileo for a week! Camp Galileo is The Summer Camp around the SF Bay Area; all the kids love it and parents all want their kids to get into it. The Pea has been to a couple of sessions in past years and I wish I could put her in more, but these are pricey camps ($389 per week), and we don't have the budget for it. So winning 2 weeks at Camp Galileo was a real godsend. A Trip to the American Idol Finals! Cue wild screaming and American Idol jingle. Yes, that's right!! I won the Cafe Press American Idol blogger contest, and my prize is a trip for two to the American Idol finals! Cafe Press, you and all the personalized gifts in your store rock!!! My sister and I will be flying to LA on May 25 and 26 to watch the final performance and results show at the Nokia Theater. It's going to be an exciting, glamorous trip and the best part is that it's all free. No, actually the best part is that didn't win it because someone drew my name out of a hat. I won it because I was the blogger who drove the most entrants into the Cafe Press American Idol sweepstakes. It's so thrilling to know that I have enough supporters to be able to do this -- and that's why I really have to thank YOU. That's right, each one of you Bonggamom Finds readers who read my blog and support me and clicked on my link to enter the Cafe Press American Idol sweepstakes. Having all of you makes me lucky, and I can't thank you enough!!!! That's awesome! Congrats on the wins!